About 40,000 signatures have been collected around the world to demand the Chinese government to release immediately the Tibetan monk. 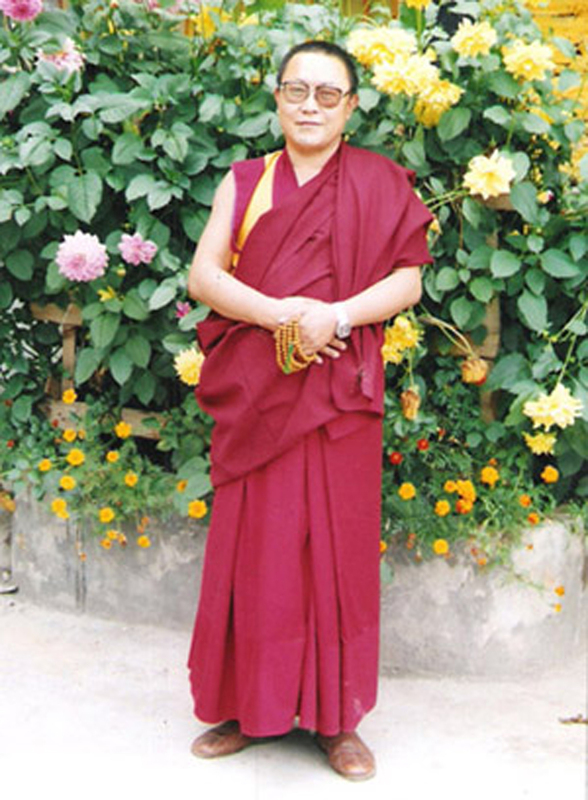 A “defender of Tibetan culture, religion and freedom, he was sentenced to death in 2002on the basis of false charges. The sentence was eventually commuted to life in prison. Dharamsala (AsiaNews/RFA) – Tibetans and their supporters joined a global day of action today for the release of Tenzin Delek Rinpoche, a highly revered religious leader and community organiser from eastern Tibet who is currently serving a life sentence in a Chinese prison. In cities around the world, demonstrators delivered a 40,000-signature petition to Chinese embassies and consulates denouncing China's unjust imprisonment of the Tibetan monk. In Dharamshala, more than 10,000 signatures were sent by fax and courier to Chinese authorities in Beijing and to the Chinese embassy in New Delhi. The petition text mirrored a similar petition signed by 40,000 Tibetans in Tenzin Delek Rinpoche's home region of Lithang in Kham, eastern Tibet (Chinese: Sichuan Province). Members of Tenzin Delek’s family attempted to deliver the petition to the Chinese government in December 2009 but they were stopped en route to Beijing. “Like all Tibetan prisoners of conscience, Tenzin Delek Rinpoche did not receive a fair trial under Chinese law. Now is the time for his case to be re-opened and a new trial to be granted in accordance with international legal standards, especially given his deteriorating health condition,” said Ngawang Woebar, President of the Gu Chu Sum Movement of Tibet and a former political prisoner himself. “We sent 40,000 signatures from around the world to the Chinese government today to press for the release of Tenzin Delek Rinpoche, who has served nine years of an unjust prison sentence. We are also standing in solidarity with Tibetans in Tibet who have risked their lives to appeal for Tenzin Delek Rinpoche's freedom, and call on the international community to join our appeal for this innocent Tibetan monk,” Ngawang added. In addition to his spiritual role, Tenzin Delek Rinpoche is a well-respected Tibetan community leader and a strong advocate for Tibetan culture and for environmental preservation. He was sentenced to death in December 2002 on false charges of exploding bombs and distributing Tibetan independence leaflets. His death sentence was commuted to life imprisonment in January 2005 following an international campaign launched on his behalf. On 11 June 2010, Radio Free Asia (RFA) reported that two of Tenzin Delek's sisters were permitted to visit him in April 2010, apparently in response to promises made by local Chinese authorities after Tibetans in the Lithang area attempted to deliver the petition to the Sichuan Provincial Government in December 2009. According to a written statement received by RFA, the prison doctor confirmed that Tenzin Delek Rinpoche was suffering from "ailments related to bones, heart, and blood pressure." One source said that Tenzin Delek requested his sisters continue their efforts to secure his release, and that he had sent letters to 26 Chinese government departments.